Serving Peekskill, Westchester, Putnam Valley, Cortland Manor. 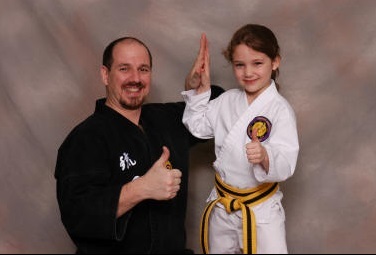 We’ve been teaching men, women and children the art of Karate for over 25 years! Our core program focuses on instilling Self-Control, Focus, Self-Discipline, Goal Setting, Positive Attitudes and Respect in each student whether they are 4 years old or 64 years old. Each student will be on a journey of a lifetime creating a sharper, supple body and discover themselves in a unique way. Learning is the key to all our work. Making the atmosphere safe and enjoyable is our goal. Parents who have been with us for a while say that Go No Sen Karate is a intricate part of their family life. 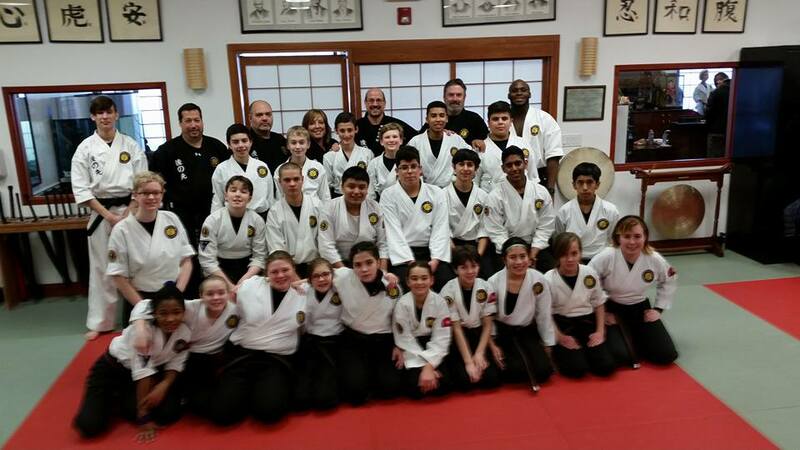 Unlike other sports, which have try-outs, we encourage all students to participate and gain all the benefits the Martial Arts have to offer. Our teaching is done as if we were working with our own family. Students have fun while learning important lessons for life. In a caring environment, with positive role models to enhance personal growth, Students improve at an individual pace and learn respect for themselves and others. Do you believe that karate is just about kicks and punches or winning trophies for display? We don’t. That’s not the atmosphere here at Go No Sen Karate Dojo. Our objective is to teach the life-affirming art of authentic karate and to instill self-respect. At our school we use our ability as teachers and mentors to influence rather than force students into action. This creates self-discipline. By realizing they have choices and the ability, both physical and mental, to deal with challenging situations, our students gain the confidence to overcome them. Children often feel scared and helpless when they become victims of neighborhood or school bullies because they don’t know how to deal with these aggressors. 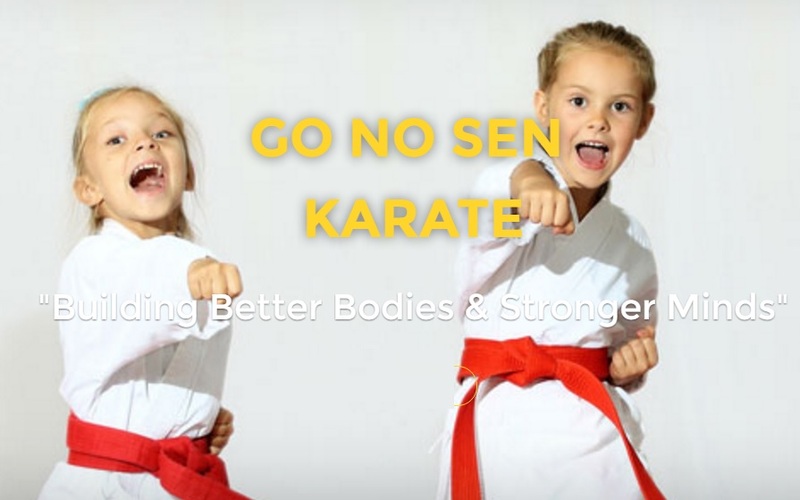 Go No Sen Karate not only teaches the self-defense skills that our children need in today’s world, it also instills the confidence and self-discipline that leads to self-respect. 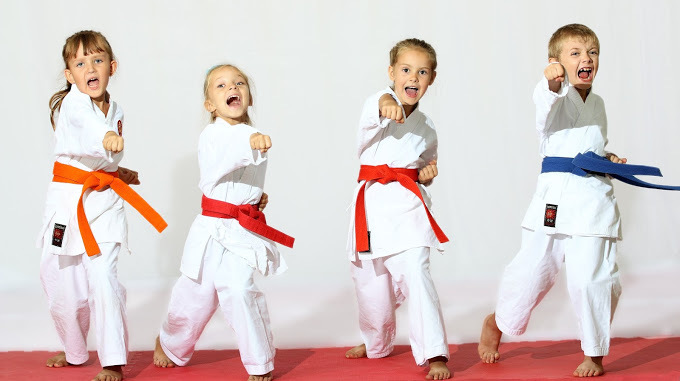 Most people think karate teaches kids how to fight. That is not the attitude we have. Instead, we teach them the skills and give them the confidence so they don’t have to fight! What Is Karate? Where Did It Come From? As legend has it, the evolution of karate began over a thousand years ago, possibly as early as the fifth century BC when Bodhidharma, a monk arrived in Shaolin, China from India and taught Zen Buddhism. He also introduced a systematized set of exercises designed to strengthen the mind and body, exercises which allegedly marked the beginning of the Shaolin style of temple boxing. Bodhidharma’s teachings later became the basis for the majority of Chinese martial arts. In truth, the origins of karate appear to be somewhat obscure and little is known about the early development of karate until it appeared in Okinawa. Okinawa is a small island of the group that comprises modern day Japan. It is the main island in the chain of Ryukyu Islands. In its earliest stages, the martial art known as “karate” was a form of closed fist fighting which was developed in Okinawa and called Te, or ‘hand’. Weapons bans, imposed on the Okinawans at various points in their history, encouraged the refinement of empty-hand techniques and, for this reason, was trained in secret until modern times. Te continued to develop over the years, primarily in three Okinawan cities: Shuri, Naha and Tomari. Each of these towns was a centre to a different sect of society: kings and nobles, merchants and business people, and farmers and fishermen, respectively. For this reason, different forms of self-defense developed within each city and subsequently became known as Shuri-te, Naha-te and Tomari-te. Collectively they were called Okinawa-Te. Here at Go No Sen Karate, we teach the classical form of Okinawa-Te. We believe that the form of karate learned years ago for life protection and developed later for the betterment of human kind is our responsibility to pass on properly. You will learn to uncover the ancient ways along your journey. The deeper you go in the art, the more enlightened you become.